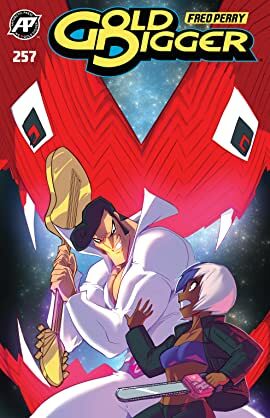 Gina's students Kylie and Elroy, Ooshoosh warriors Mikra and Nadesko, and Ooshoosh scribe/scientist Portia are set to explore the ruins where, years ago, Gina and Britanny first encountered the musical magic-user Spellvis. Just their luck, Spellivis has returned, this time with the vampire queen Natasha. And when the diabolical duo dredge up power from the "end game" of all creation, will any of them survive? 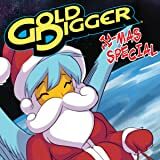 Give the gift of gold this season with the Gold Digger Christmas Special! Make your days merry and bright with a selection of heart-warming, high-powered holiday tales from Fred Perry and your other favorite A.P. artists. Be someone's special Santa this year (even your own) and get them a copy! 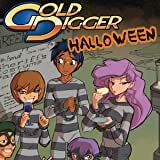 Celebrate Halloween Gold Digger style! These tales of fun and terror feature a Fred Perry "Gold Digger --18" tale as well as new stories from Fred Perry, David Hutchison, Ben Dunn, Rod Espinosa, and more. 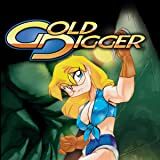 A treat for any Gold Digger fan. 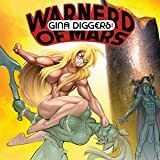 Prepare for a full-frontal behind-the-scenes look at the monumental Gold Digger special Gina Diggers: WarNerd of Mars! Creator Fred Perry shares a variety of character designs, drawing stages, sketches, and insights about creating the Bazooms of Barsoom!